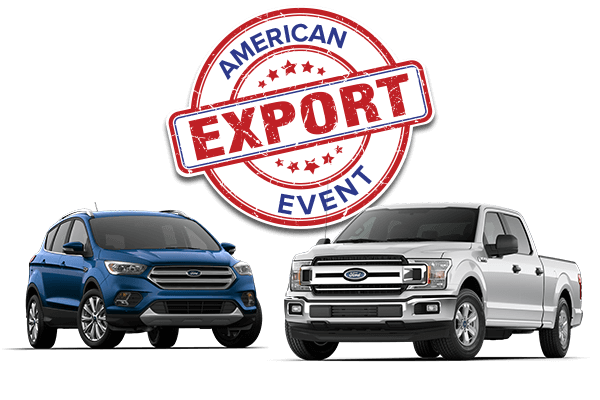 Thanks to its massive success in our sister stores, we’re bringing the American Export Event to Winnipeg for 3 days only! From April 12-14, 2018, we’re buying used vehicles – you don’t even have to trade in! 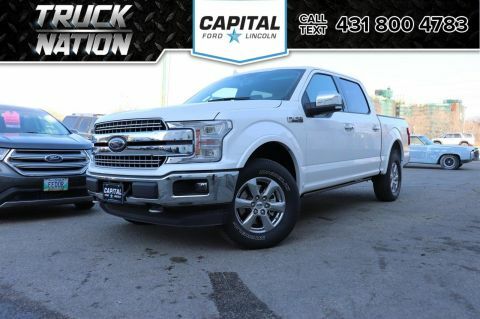 With the loonie’s current value, join the Canadians who have exchanged their cars, trucks, and SUVs for instant cash. 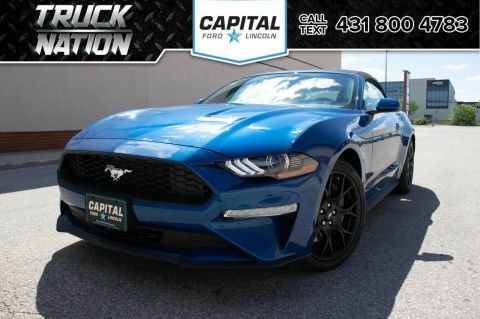 The Americans are looking North of the border for high-quality used vehicles – yours could be exactly what they’re looking for! 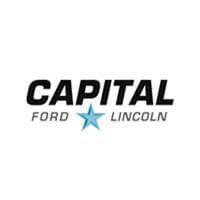 Stop by Capital Ford on 555 Empress Street in Winnipeg – this Thursday, Friday, and Saturday! 1. Polish up your ride. Make it look good. 2. 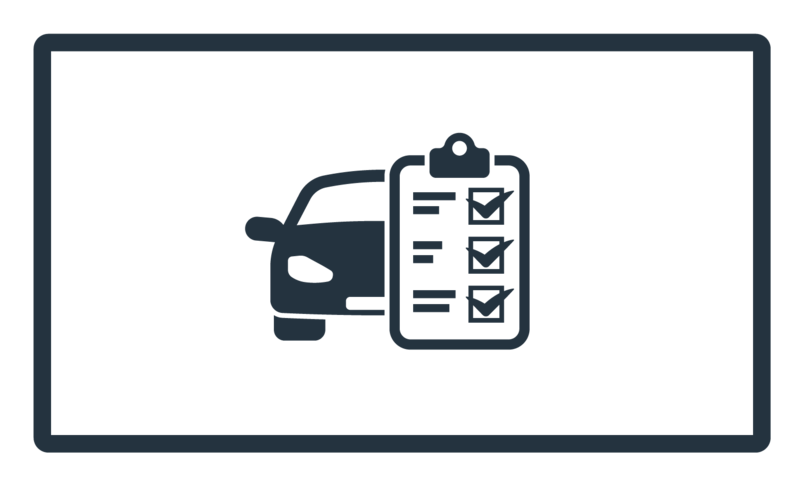 Collect the vehicle’s registration and any existing loan documents. 3. 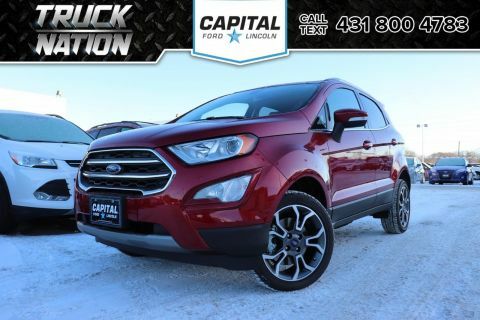 Head to the Capital Ford Winnipeg between April 12-14 to turn your vehicle into cold, hard cash. For the average person, exporting a car is more trouble than it’s worth. 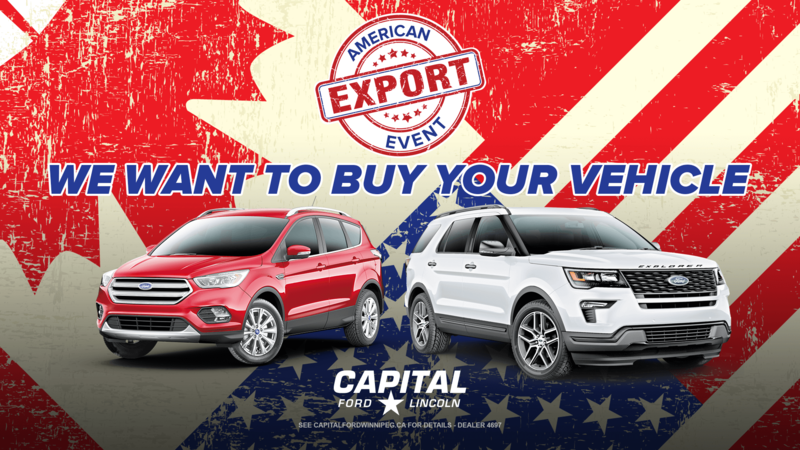 That’s why Capital Ford is hosting multiple American buyers in Winnipeg who will be ready to offer top dollar and do all the work for you. 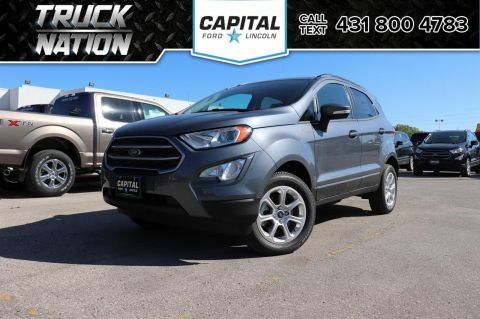 Plus, while you’re here, get great offers for your used cars, trucks, SUVs, and vans. We can turn those offers into a cheque within 60 minutes. If you’ve been thinking about selling your vehicle, you cannot miss this event.